Steelwork is now out of the ground on the next phase of Harworth Group plc’s Logistics North development in Bolton – the North West’s largest live commercial scheme that will deliver 4 million sq. ft of new distribution and management space. Buckingham Group has begun the construction of three units – ranging in size from 46,803 sq. ft to 65,198 sq. ft – as part of the first phase of Logistics North’s ‘Multiply’ development. 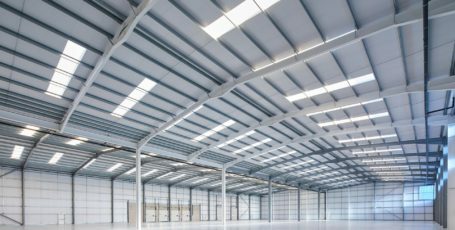 Multiply is being delivered by a joint venture known as ‘Multiply Logistics North’ between Harworth and the Lancashire County Pension Fund – advised by Local Pension Partnership and Knight Frank Investment Management – constructing ten commercial units totalling approximately 564,000 sq. ft across 31.2 acres over the next two years. These first three units are expected to be completed and ready for occupation in November 2017. 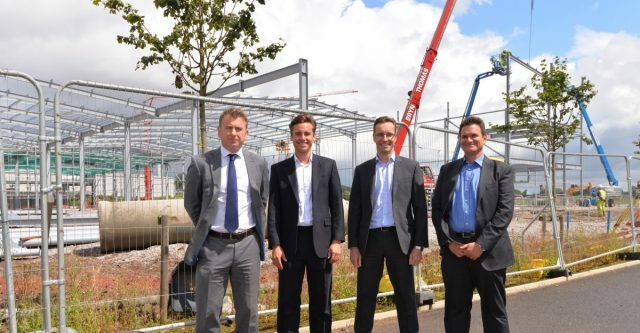 Harworth has also started the construction of two other commercial units, of 27,500 sq. ft, and 24,750 sq. ft, that will be ready for occupation at the beginning of 2018. Retained agents for all new commercial units are B8 Real Estate and JLL. August will also see the completion of two other developments at the site, with the opening of Greene King’s new ‘Pine Tree Farm’ pub on the 21st of August and the opening of a new Costa drive-thru facility close to the entrance of the site. These milestones follow a series of developments in rapid succession on-site in 2017. 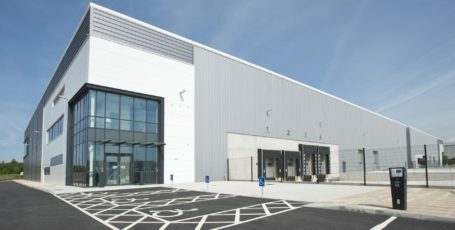 In January, Whistl – the second largest postal operator in the UK – announced its decision to take a ten-year lease on M&G’s Logistics 225 unit, with more than 300 staff beginning work from its new depot from May to expand its existing mail, packet and parcel and ecommerce business. At the end of June, Olympic cycling gold medallist Jason Kenny also opened Aldi’s new c. 18,500 sq. ft store that will employ around 30 members of staff on a plot immediately adjacent to Junction 4 of the M61. Aldi already employs 550 staff at the development within its 610,000 sq. 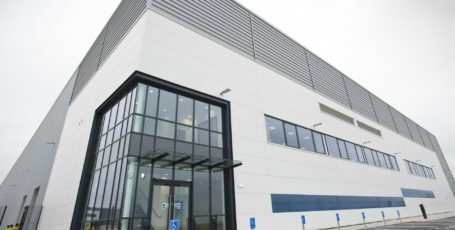 ft regional distribution centre, which opened in April 2016 and features a whole floor dedicated to the Academy, Aldi’s recruitment and training department. Since it received outline planning consent at the end of December 2013, 2.5m sq. 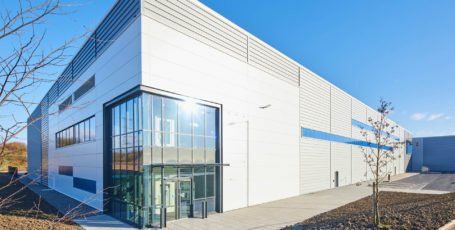 ft of commercial space has already been built, under construction or committed to be constructed at Logistics North, with more than 1,500 people already employed on the site. Land for just 1.5m sq. ft of commercial development remains available.